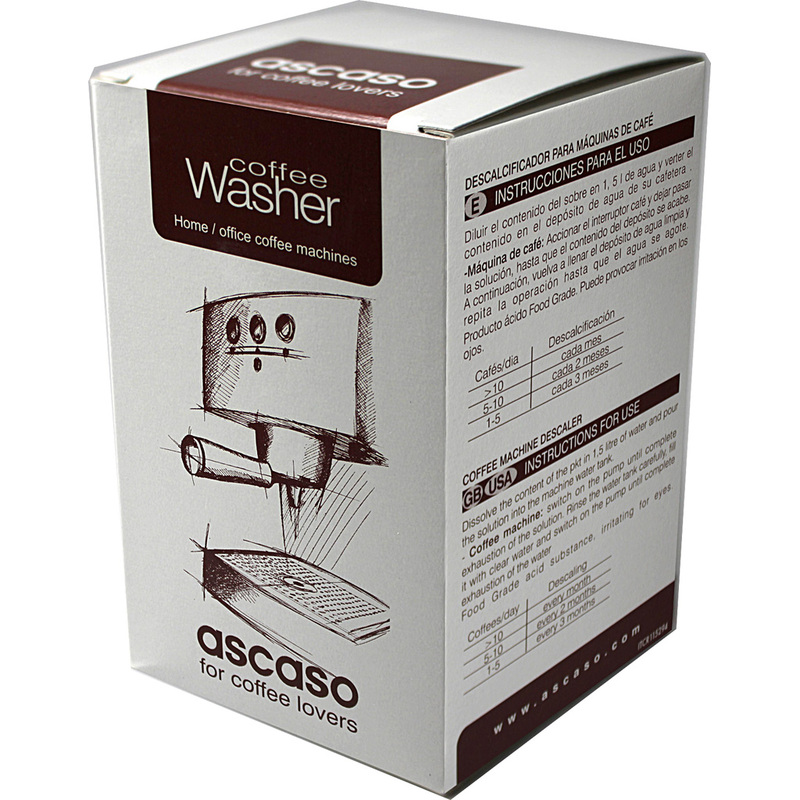 Purpose: Remove limescale deposits, caused by magnesium and calcium, from the internal workings of the espresso machine. Machine identity: These instructions are provided for descaling a superautomatic single boiler espresso machine with water reservoir. Your espresso machine must have a single internal boiler that provides both water for espresso extraction and steam for steaming/frothing milk. In other words, there is a separate steam switch you must depress to get steam AND where you wait 30 or more seconds to get steam. If you have a superautomatic espresso machine with a dual boiler, these instructions will not suffice. Please check with the manufacturer or your selling dealer if you are not sure. Pour descaling solution into water reservoir. Place 6 oz or larger cup under steam wand. Open steam wand knob to full open position. Press the hot water switch to ‘on’. Press the coffee switch to ‘on’. Press the power switch to ‘on’. Properly dispose of descaling solution from cups. Press the hot water switch to ‘off’. Close the steam wand knob. Wait 10 minutes with machine power in ‘off’ position. Repeat steps 5 through 14 one more time. Rinse water reservoir and hoses with fresh water. Repeat steps 5 through 13 two times with fresh water only to rinse machine of descaling product.